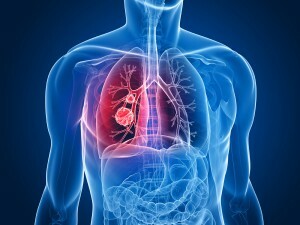 The signs and symptoms of lung cancer rarely show up until the disease is in its later stages. 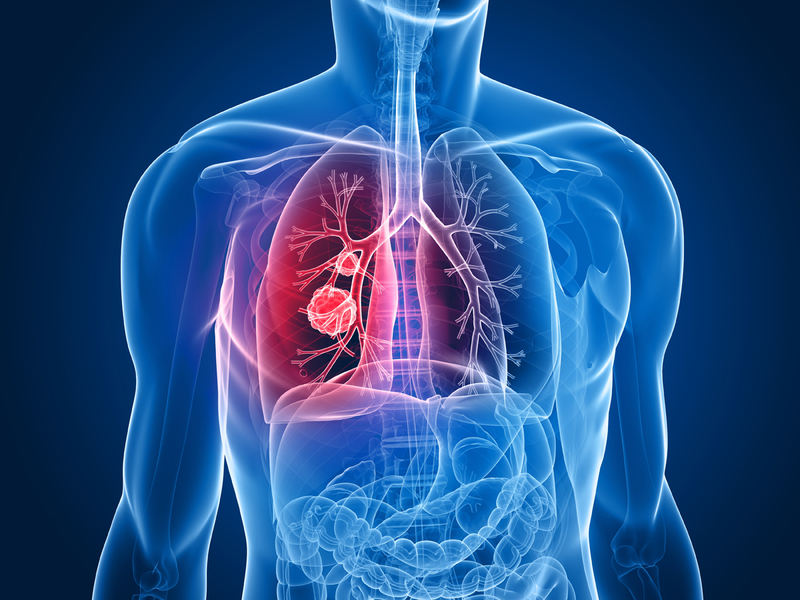 The lungs have few nerve endings, meaning that tumors can grow without causing pain or other lung cancer symptoms. Even when other forms of radiation therapy aren’t recommended, CyberKnife can still be an option. CyberKnife delivers high-precision dosages of radiation, in a comfortable treatment setting, with minimal side effects. Even though CyberKnife sounds like a surgical procedure, it’s actually a non-surgical, non-invasive, and extremely precise targeted radiation beam designed to kill cancer cells at the source. CyberKnife is for patients with inoperable lung tumors, recurrent tumors that can no longer receive standard radiation, or as an alternative to invasive surgery. The CyberKnife System is a dedicated robotic radiation therapy system controlled by sophisticated software that targets multiple radiation beams with incredible accuracy. When dealing with lung cancer through radiation treatment, doctors face the challenge of targeting only the harmful cancer cells due to the slight movement created while the patient is breathing. The CyberKnife system is able to overcome that problem because of its exclusive tumor-tracking software that continues to image the treatment site in real time. The system is able to adapt to the rhythm of the patient’s breathing and keep the pinpoint radiation beam targeting only the cancer. In fact, the beams are so accurate — down to the sub-millimeter — that they kill lung cancer cells while harming very few of the surrounding healthy cells. The robotics system moves around the patient, allowing the radiation beams to target the cancer cells from virtually any angle. The CyberKnife system protects healthy tissue while destroying cancer cells with pinpoint precision. Extremely precise radiation directed at the tumor. Minimizing side effects and improving a patient’s quality of life. Quick treatment, requiring only one to five short treatments — completed in less than a week. Completely non-invasive, non-surgical, and pain-free treatment. Treatments are completed in a comfortable outpatient setting. Since there’s no incision or anesthesia, CyberKnife reduces your risk of surgery-related complications. While the treatment leaves patients with minimal side effects, some do experience fatigue following the surgery. If you’re experiencing any of these early signs and symptoms of lung cancer, make an appointment with your doctor as soon as possible. Because the biggest risk factor for lung cancer is smoking, the American Lung Association recommends that smokers between the ages of 55 and 74 ask their doctors about getting a low-dose CT scan to screen for cancer. Smokers who have more than 30 pack-years — smoking a pack a day for 30 years or two packs daily for 15 years — are at significant risk and should be screened for lung cancer. People who work in certain high-risk occupations may also be at risk for lung cancer. For example, if you worked in the construction industry, in shipbuilding, or in asbestos manufacturing, you could be at increased risk for a lung cancer called mesothelioma because of your exposure to asbestos fibers. Also, if you lived in a home that tested positive for radon, talk to your doctor about screening. Before your first treatment, doctors will perform a CT scan to pinpoint the exact location of your tumor. The scan is then uploaded into the CyberKnife machine, allowing the software to begin mapping your custom treatment path. Our cancer specialists — board-certified radiation oncologists and medical physicists — will work together to determine the safest, most effective radiation dosage. During the treatment, you’ll lie on a couch while the CyberKnife machine quietly moves around you using high doses of pinpoint radiation beams targeting only the cancer. Treatments take less than an hour, and you only have to come to the Los Angeles cancer center for one to five sessions. Whether you’ve just discovered that you have lung cancer or whether you’ve been in treatment for a long time, your oncologist might recommend CyberKnife treatment alone or in conjunction with other treatments. Start by contacting our center to schedule a consultation with one of our specialists about whether CyberKnife could be right for you. Then, contact us at our Los Angeles treatment center to make an appointment.